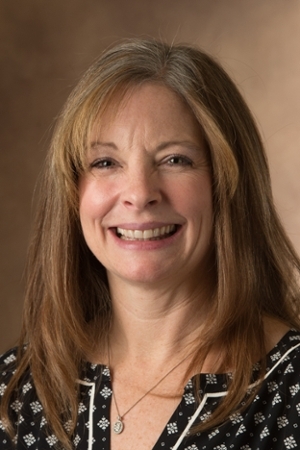 The Southern Illinois University Edwardsville School of Nursing’s Valerie Griffin, DNP, assistant clinical professor and coordinator of the family nurse practitioner program, will join the Fellows of the American Association of Nurse Practitioners (FAANP). Griffin’s induction will honor her outstanding contributions to health care through her main focus areas of education and policy. Griffin will be honored among 67 inductees on Thursday, June 22 during the AANP 2017 National Conference in Philadelphia. The AANP call the inductees “visionaries,” who will significantly contribute to the future of nurse practitioners and health care. The AANP Fellows Program impacts national and global health. Fellows are expected to continue the work of leadership and mentorship, and participate as role models. “Being a Fellow in the American Academy of Nurse Practitioners will ensure my ability to mentor family nurse practitioner students in the professional advancement of clinical practice and leadership,” Griffin said. The American Association of Nurse Practitioners (AANP) is the largest professional membership organization for nurse practitioners (NPs) of all specialties. It represents the interests of more than 205,000 NPs, including more than 67,000 individual members and 200 organizations, providing a unified networking platform and advocating for their role as providers of high-quality, cost-effective, comprehensive, patient-centered and personalized health care. The organization provides legislative leadership at the local, state and national levels, advancing health policy, promoting excellence in practice, education and research, and establishing standards that best serve NP patients and other health care consumers. Photo: Valerie Griffin, DNP, assistant clinical professor and coordinator of the family nurse practitioner program in the SIUE School of Nursing.